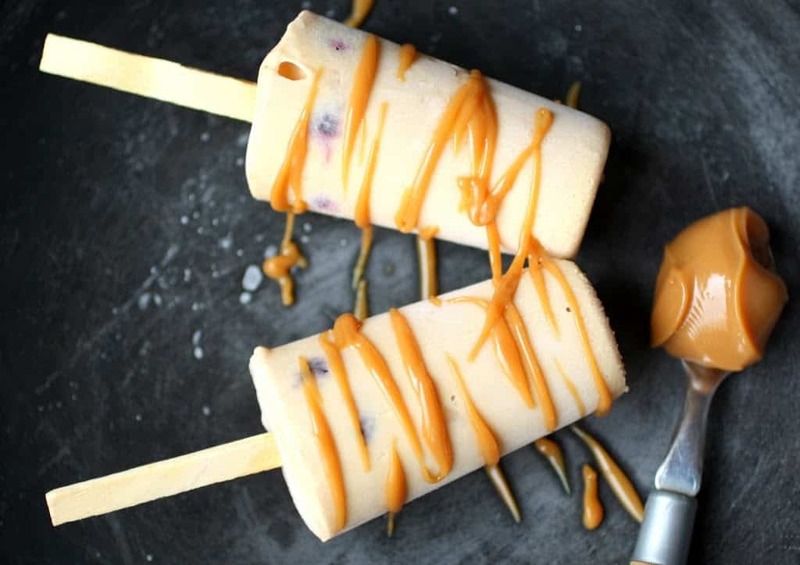 Dulce de leche and banana is the perfect combination for this refreshing popsicle. 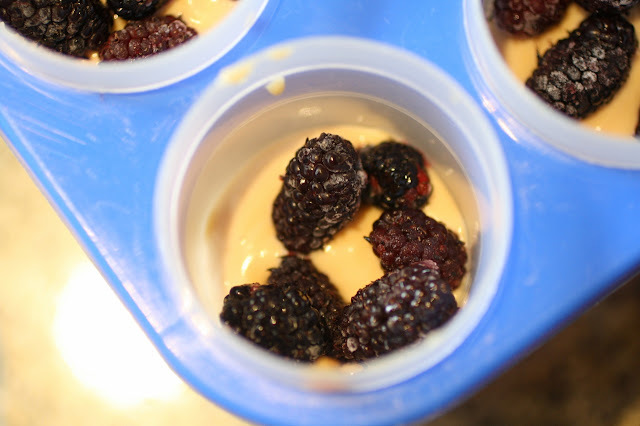 With a few blackberries, this dessert will be a favorite for both adults and kids. End of October and hot days are here to stay for a few months. And when it’s this hot, the only thing we want to eat is ice cream! Our mulberry tree is heavy with fruits. Our freezer, full of bananas. It’s time to update/separate this recipe into their respective language. This is Timmy, and he came up with our recipe today. My kids love creating new recipes. They’re usually sweet and easy to make. And once the heat arrives, they start coming up with all the different flavor combinations they want for their popsicles. Timmy asked if we could make some banana and dulce de leche popsicles, then he saw some mulberries and asked if he could add it too. The result? 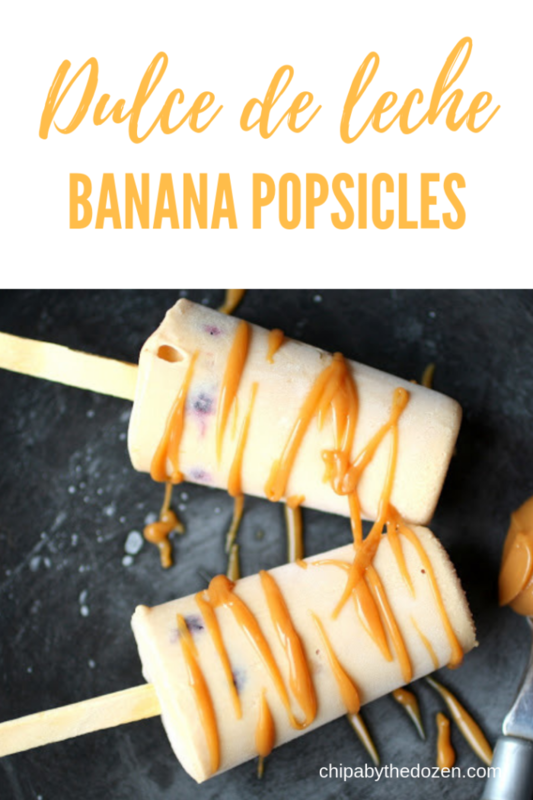 Delicious, creamy popsicles! I knew bananas went really well with dulce de leche, but I was not sure about the mulberries. To my surprise, all those flavors created an easy and delicious summer treat. For these popsicles, I used sour cream because I really like it how it gives that little tangy flavor to this sweet popsicle. If you don’t have or don’t like it, use heavy cream or Greek yogurt. This is not so much a recipe per say, but more of an idea of flavors to put together, but just in case you need some measurements, you can find them bellow. 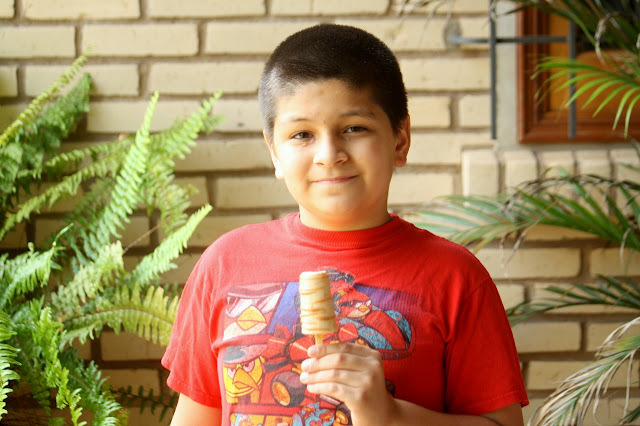 If you don´t have any popsicle molds, you can use disposable cups. 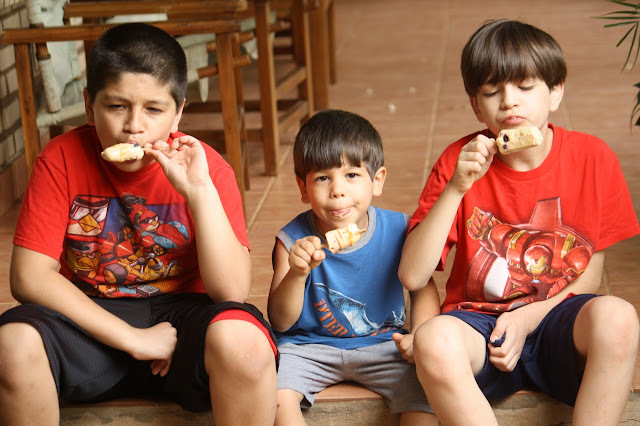 Just a few years ago we started getting sour cream here in Paraguay. Trebol is the brand selling it. I buy a few containers and freeze them for later use. Sour cream make this popsicles so creamy, just like the store bought ones. 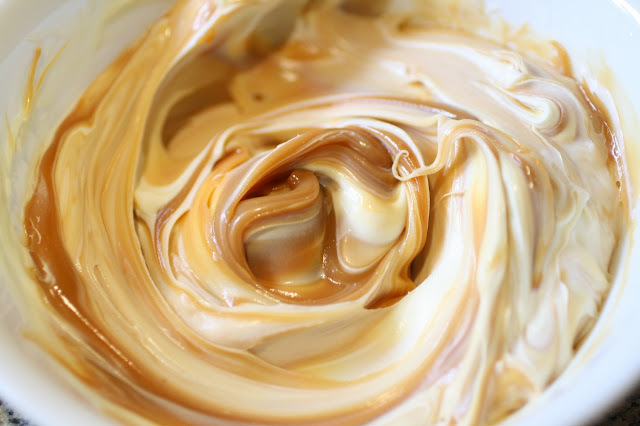 Add dulce de leche and mix well. 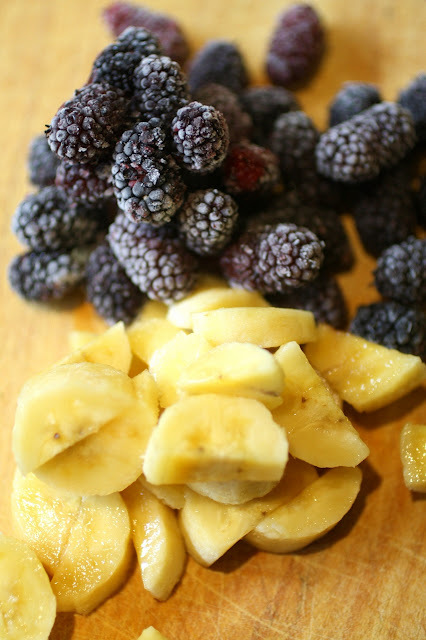 We used bananas and mulberries. Hmm, what other fruit can you add? Start filling the popsicle molds. First add some dulce de leche-cream mixture and then some diced bananas. Add some dulce de leche, about 1/4 teaspoon. Add some dulce de leche-cream mixture, then some mulberries, a little bit of dulce de leche and finish it up with some dulce de leche-cream mixture. Place in the freezer for at least 5 hours or overnight. Enjoy! 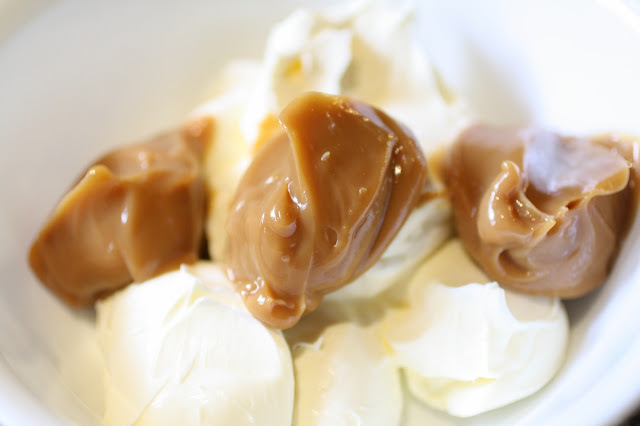 In a small bowl, mix sour cream and dulce de leche. 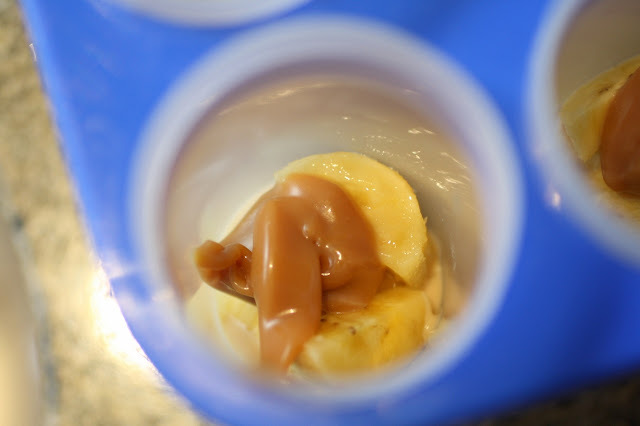 Fill popsicle molds with 1 tablepoon dulce de leche mixture; add some bananas and 1/4 teaspoon dulce de leche. 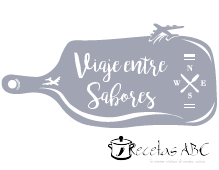 Add another tablespoon of the dulce de leche mixture, some mulberries, 1/4 teaspoon dulce de leche and finish it up with 1 tablespoon of dulce de leche mixture. 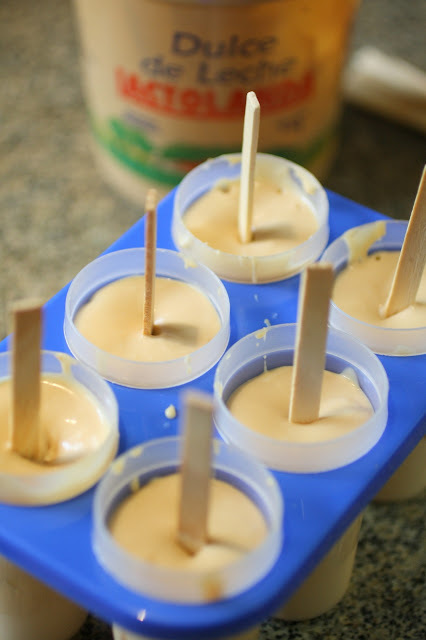 Place popsicle sticks to each mold and place in the frezzer for 5 hours or overnight. 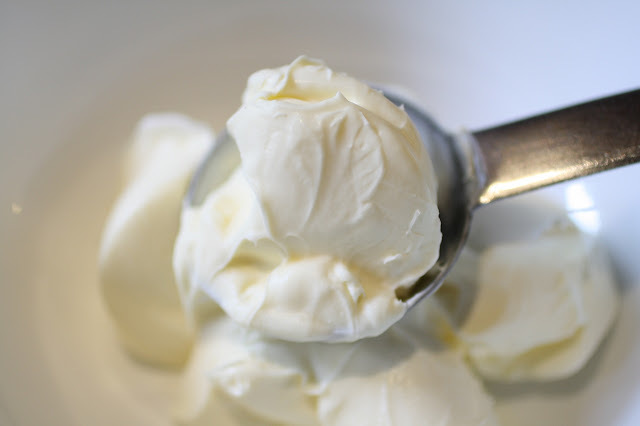 If you don't have sour cream, use heavy cream or Greek yogurt. If you don't have popsicle molds, use disposable cups.